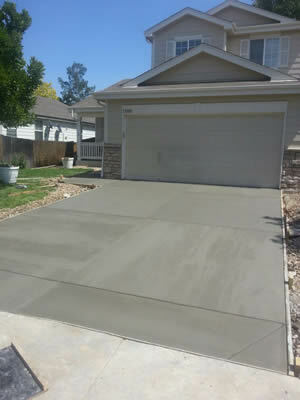 Colorado Concrete in Denver installs new concrete driveways, repairs existing driveways and can perform a complete driveway tear-out and replace your drive with new concrete. We have the knowledge, experience and equipment to to your job properly and safely. Concrete driveways have always been a mainstay in home construction but now you can you’re your driveway personality. Adding colors and textures to your concrete driveway will make you the envy of the neighborhood. You can transform your driveway from a grey slab and make it look like it’s a stone or brick driveway or use colored concrete and have it become a part of your homes landscaping.